This is the first of an ongoing series I would like to call #DiscoverMusic based on rappers relatively unknown who have just dropped their maiden projects. 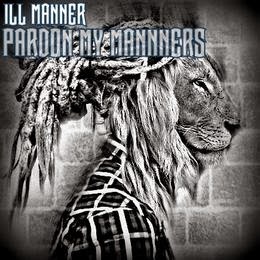 The first one is an EP by Ill Manner aptly called Pardon My Manners. Stream and download the EP below after you read what he had to say about his project. This EP was the result of a conversation I had with Navy Seal. I was planning to just stick to making singles until Navy showed me that a complete compilation of works was the way to go if I want people to take me seriously. The title for the EP is basically a play on my stage name "Ill Manner". The word "Manner" in this sense refers to my lyrical technique as well as my worldview which has resulted in people referring to me as a weirdo lol. This EP is an introduction to the man behind the artist. Songs like "End Of The Tunnel" and "Native Under The Sun" are opening doors into my mind since they introduce the listener to my vision and my views on spirituality. My favourite track has got to be "Higher Learning" because I was in a good space when I recorded it. The track "Inside" was therapy for the bout of depression I experienced last year.